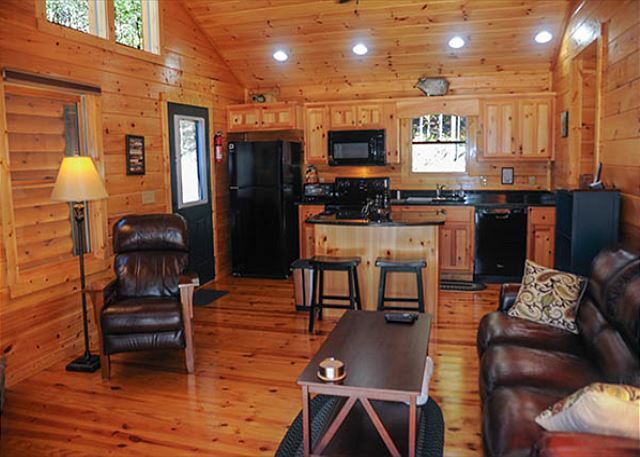 Welcome to My Cozy Cabin by Great Mountain Cabin Rentals in Murphy, NC. 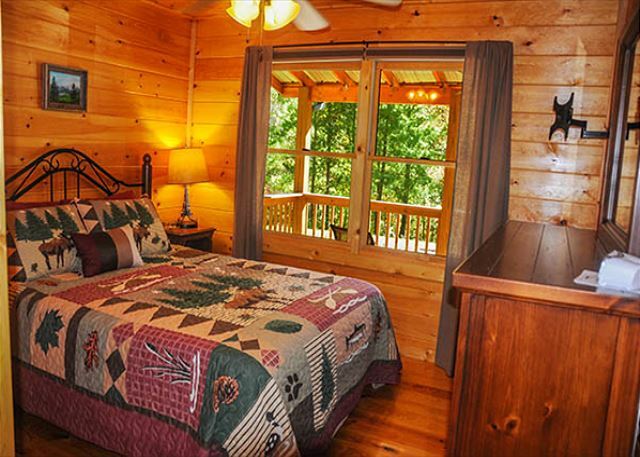 This cabin has everything you need to make your stay one you will remember forever. Sit back, relax and leave your cares at home. 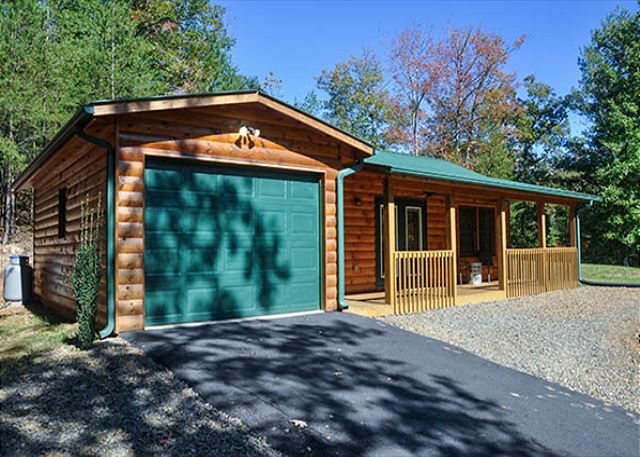 Soak in the hot tub, take in the fresh air on the porch, or even cuddle up in front of the fireplace. 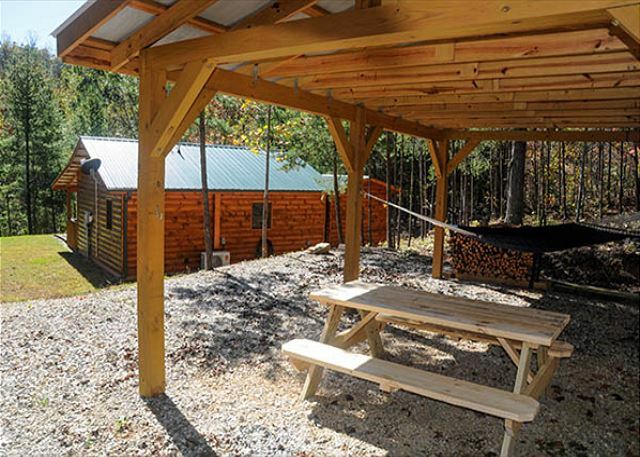 This cabin makes the perfect honeymoon, anniversary or even just for someone traveling for work or personal reasons. 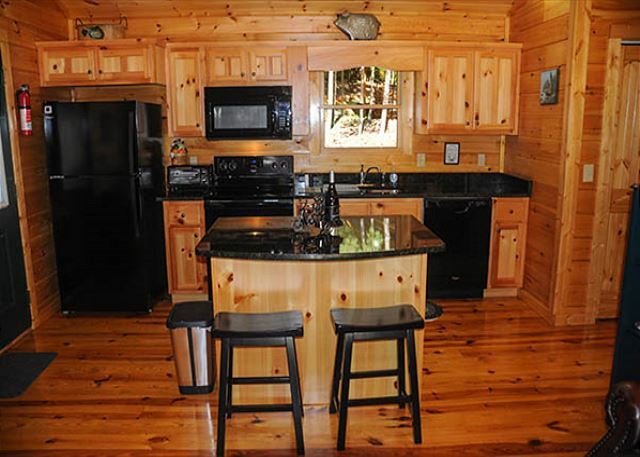 It has all the modern ways of living including granite countertops, wifi and tv service. There is also a covered area with a hammock so you can relax and enjoy that book you have been wanting to read. Rent 6 nights and get the 7th night free. Book today! We had a great time. It was peaceful cozy and clean. This is a great place. It is very clean and peaceful. Definitely will use again and recommend. This cabin was perfect for our romantic getaway! It had everything we needed, and then some! The cabin was spotless. Thanks to a previous review we knew to bring our own camping chairs for the fire. It was so peaceful, we could not even see any neighbors just beautiful land. We will absolutely be back!! The owners were so accommodating and very easy to work with! Thank you so much!!! We really enjoyed our time at the cabin. It was indeed very cozy and clean. A wonderful place to get away and relax. The cabin was definitely cozy, secluded, and had a homey feeling. My husband and I really enjoyed the fireplace, hot tub, and the hammock. 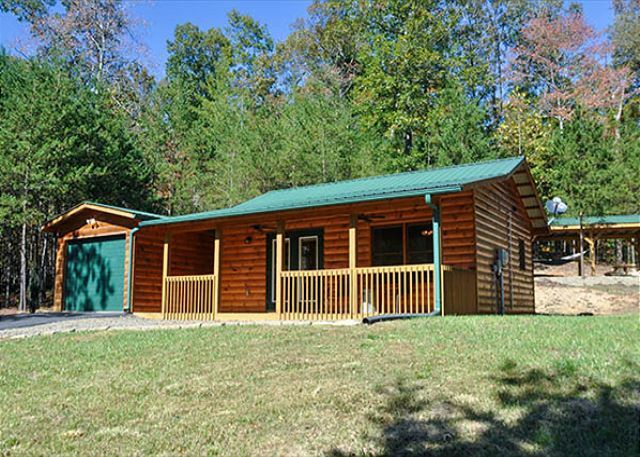 I would recommend this cabin to other couples that are looking to hideaway from it all. That is exactly how it felt to us and we loved every moment of our stay. The cabin was decorated beautifully in a very modern type of way. We brought food to cook, and was not prepared for all the appliances, dishes, and setup that My cozy cabin had to offer. There is a parking garage with a grill and everything!! Great place to relax and unwind! 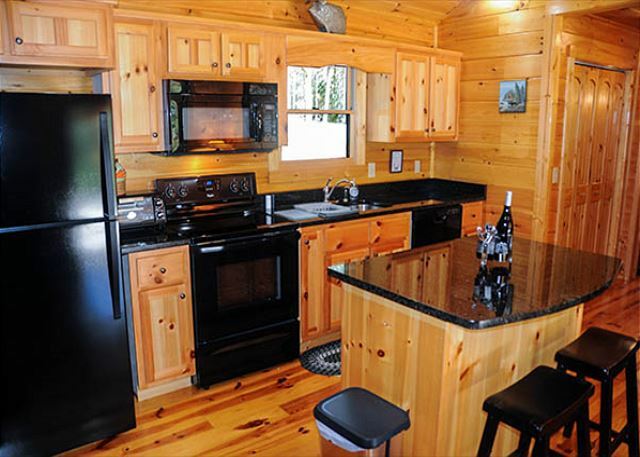 Great little cabin for 2 and our dog Zeus. Location great about 4 miles off main hwy. About 15 minutes to down town Murphy. Emaculate clean in and out. Great out back area. Has fireplace keeps cabin cozy. Even when we had 2 nights of 20 degree weather. Hot tub dated but ok for 2 people. Nice to have garage for car with cold temps we had. This was a beautiful, very comfortable cabin. Had a plumbing problem but it was taken care of and the rest of our stay was wonderful. Cabin had everything you could neat and was immaculate. The property was private and lovely. Definitely suggest you stay here. Very nice place. Wish we could have stayed longer. This rental was by far the cleanest and nicest rental we have ever stayed in. We cooked all meals here and the kitchen was stocked with everything we needed to do so. I would recommend taking some camping chairs if you want to be able to sit by the firepit. 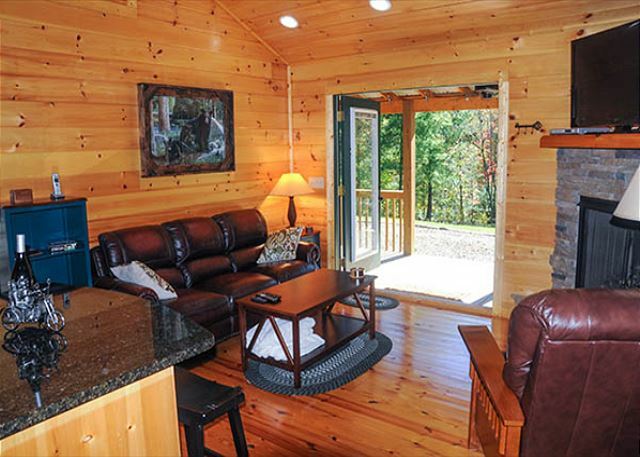 This cabin is just the right size for us and our dog. The hot tub was great to relax in and the nice yard provided room for our dog to play. The cabin is in "like new" condition. A great size for two people. Second time we stayed here ....FANTASTIC !!!!! The cabin was absolutely gorgeous ! Will be coming back here again 😊 Very comfy ! 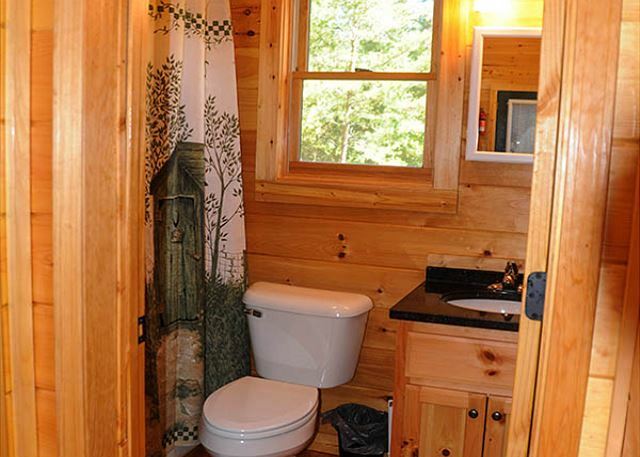 The cabin has everything you need and was very clean. I had spent 2 nights and wished I could have just stayed there , it was like home . Thank you for letting me stay at your beautiful cabin 😁 I got that needed rest and peace and quiet . Restaurants and shopping was within 10 miles , very convenient ! Again thanks and God Bless ! 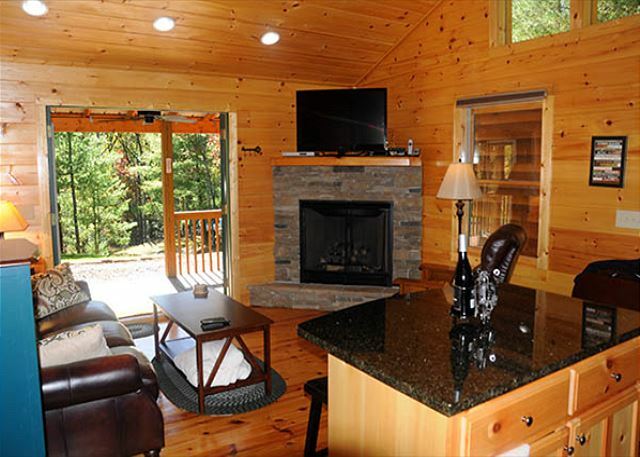 This cabin is the perfect rental. 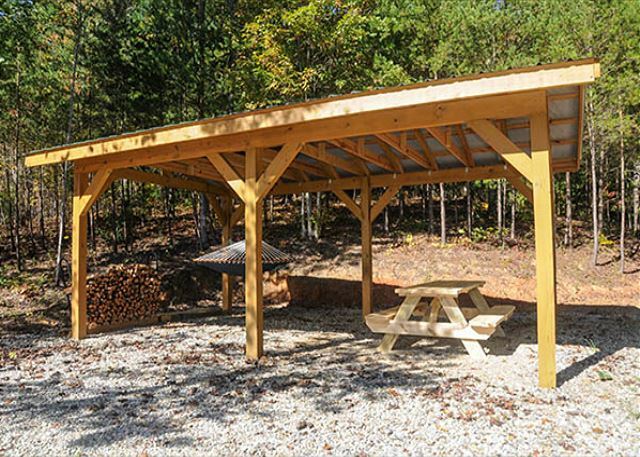 The porch is great for relaxing, and the lot is about an acre so you have total privacy. The layout is great and it doesn't feel small, simply cozy and comfortable. It was impeccably clean when we arrived, which is not always the case when renting a place! The driveway is paved (awesome!) but there is a steep incline at the very beginning which very slightly scraped my car but ONLY upon exiting the driveway - never upon entering (I could approach it perfectly when I would enter). If you have a higher up vehicle, this will not be an issue whatsoever. We loved our stay and absolutely loved the area. My husband and I stayed here for our Christmas vacation and we loved it! 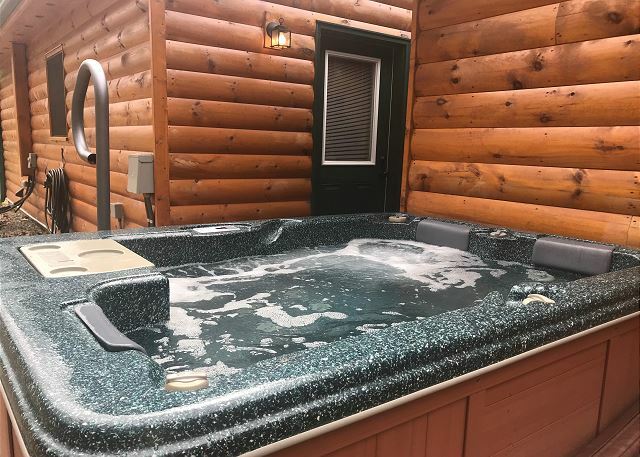 It's a great space for a couple, equipped with everything that we needed and had an amazing hot tub. We will definitely be staying here and again and highly recommend it to anyone who wants a cozy getaway in the mountains. 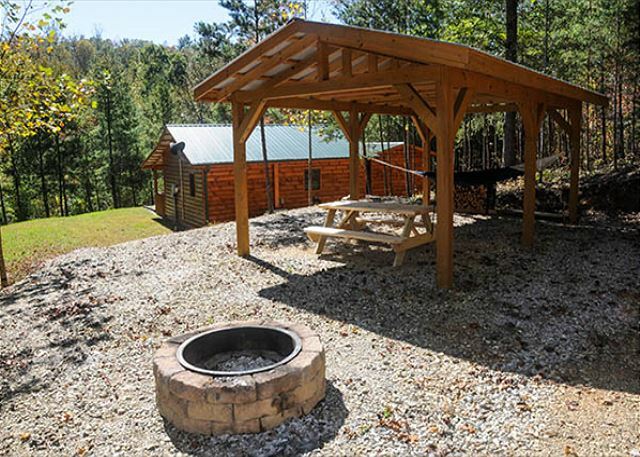 Great all around experience...Great cabin and amenities !! !